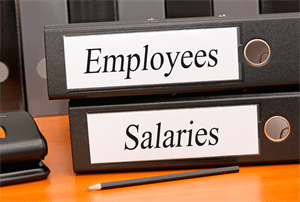 As we approach the time of year that many business owners and CEOs dread, I start to hear more and more nervousness surrounding the salary review process. This is caused primarily by a lack of structure and information when it comes to making decisions. I hear questions such as: “How much of an increase do I need to give so that my top people don’t leave?” “Do I have to give everyone CPI? What happens if I don’t?” “What are the expectations of the team?” and “What is the market doing?”. With these questions comes a level of anxiety for both business owners and staff who are wishfully hoping that they will receive an increase that they perceive to be fair. Based on seeing many businesses get the salary review process right (and just as many get it wrong), here are my 6 tips for removing the pain from the process and reaching a successful outcome for all. Not all salaries increase at the same rate. In fact, a number of job categories such as Engineering, Construction and Pharmacy have seen salary declines in the past 12 months. Ensure that you have access to reliable data on market and salary trends as a starting point for making decisions. Using market data as a guideline it is important to draw a line in the sand and determine the salary range (or salary band) for jobs within your business. This will enable you to communicate clearly to staff what they can expect to be paid for a given type of work. This is critical to understand if you want to avoid overpaying people (especially your top performers) and creating a strategy for moving up people who are paid below the midpoint on your salary bands. So often I see businesses giving too much of a base salary increase when they could have put part of the increase into a well-designed incentive scheme linked to the achievement of specific performance objectives. This approach will ensure that you are getting a return on investment from your people costs. Consider creating a table that balances how the individual has performed, with their position on your salary bands with what you can afford to pay. This will create a strong basis for making fair and informed salary decisions. This is the most critical (yet most commonly overlooked) aspect of a successful salary review process. Once you have a framework for making decisions communicate this throughout your business. If your people know what they need to do to receive a salary increase you can manage their perceptions regarding fairness; which will have a huge impact on their satisfaction and performance. With some pre-planning and good advice, you have the opportunity to ensure that your salary review process is received positively by your teams and ensures that the business is getting a return on investment from the decisions you make. For a free consultation on your current salary review process or incentive structure contact Talent Code at info@talentcode.com.au or 1300 559585.